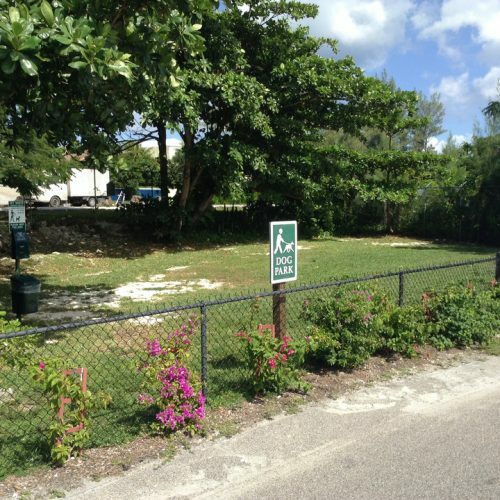 We have reserved an area in the North East corner of Sandyport (Phase V) for owners to exercise their dogs. Pets are no longer allowed in the adjacent space where the batting cage is located. The areas have been separated for health and safety reasons. 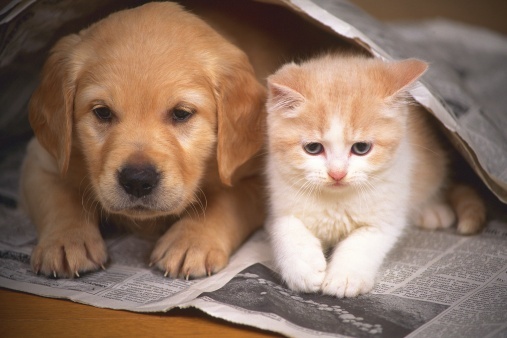 Please be advised that there is a Canine Distemper Virus (CDV) outbreak in New Providence. 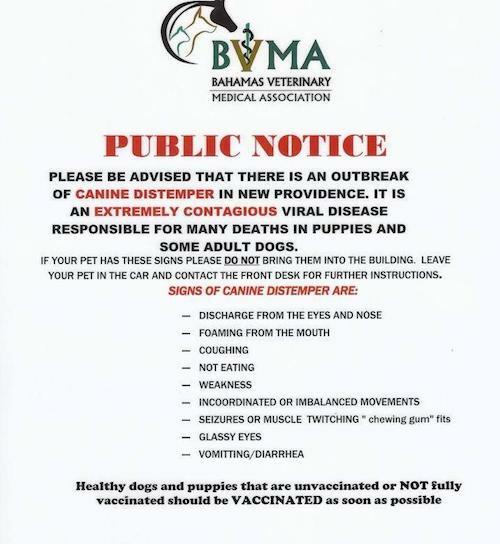 The attached flyer has been posted on all vet clinic and shelter doors in Nassau. 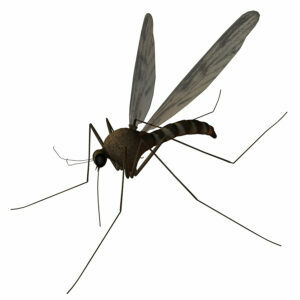 The BVMA is working to contain the virus along with the Ministry of Agriculture. 1.The first and foremost thing is: Please, DO NOT SEND ANY CANINES, BIG OR SMALL, young or old, to or from the island of New Providence, internationally or between islands, at present. 2. Keep your animals on your property. No long and wonderful adventuresome walks at the time being. Play groups are not recommended either. 3.The key to disinfecting is BLEACH – 30 (water) to 1 (bleach) – and foot baths so you do not track infection in or out. 4. The distemper virus does not like warm weather or sunshine. It lasts a maximum of 3 hours on surfaces and outdoors (including on grass) under these circumstances. 5. We suspect that even some vaccinated dogs may be able to contract this present strain; however, there are tests being done that will confirm or dispel this theory. 6. We have experts in the US helping us with this, and they say that the BHS is taking the correct precautions under the supervision of our Florida consultant, Jim Crosby. 7. All spay and neuter missions should be suspended at present due to the possibility of transferring infection from dog to dog. If you have any questions, or concerns, please feel free to contact us at the BHS 323-5138/325-6742, Jim Crosby 463-4095, or Dr. Valentino Grant at Palmdale Vet Clinic 325-1354. We want the well-being of all animals in the Bahamas to be foremost. Please see the attached flyer for symptoms to watch out for. People do not contract this disease, nor do cats. If your dog is showing symptoms, please contact your vet immediately. Please note that the BHS will be closed except for emergencies on Thursday, July 10th, for Bahamas Independence Day.